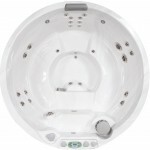 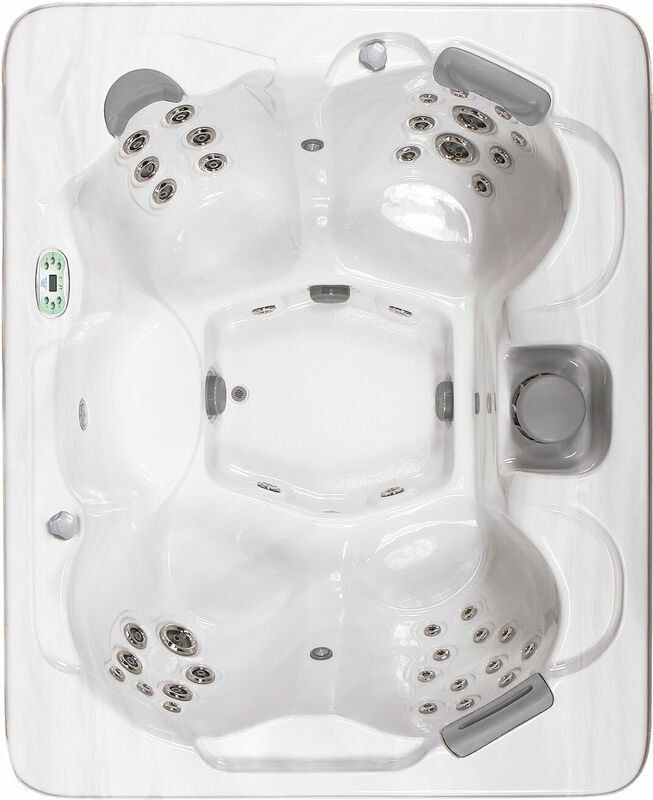 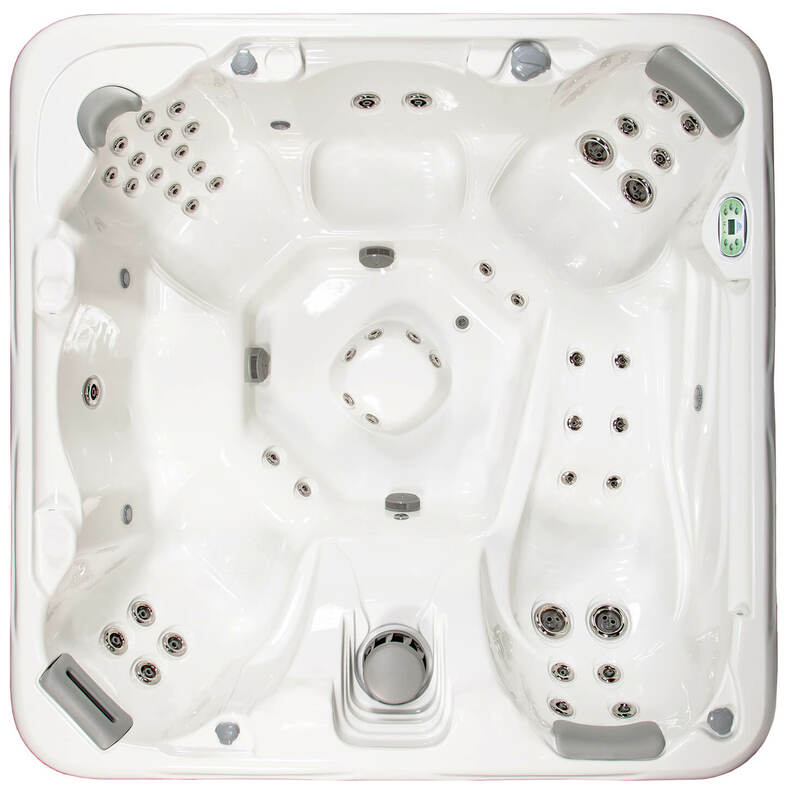 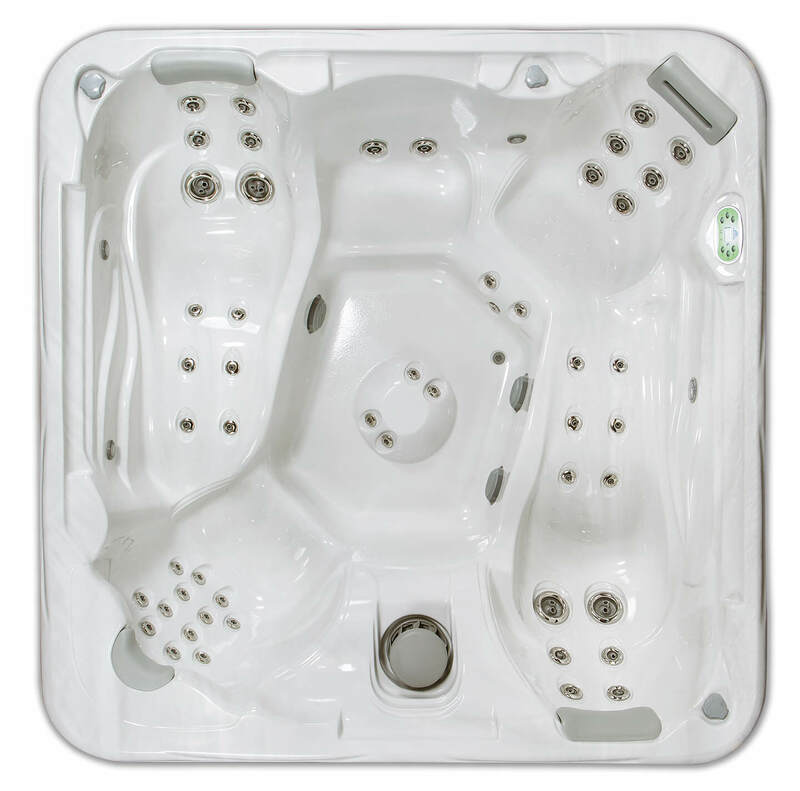 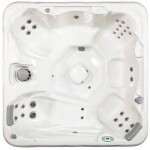 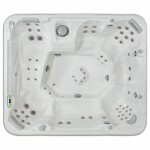 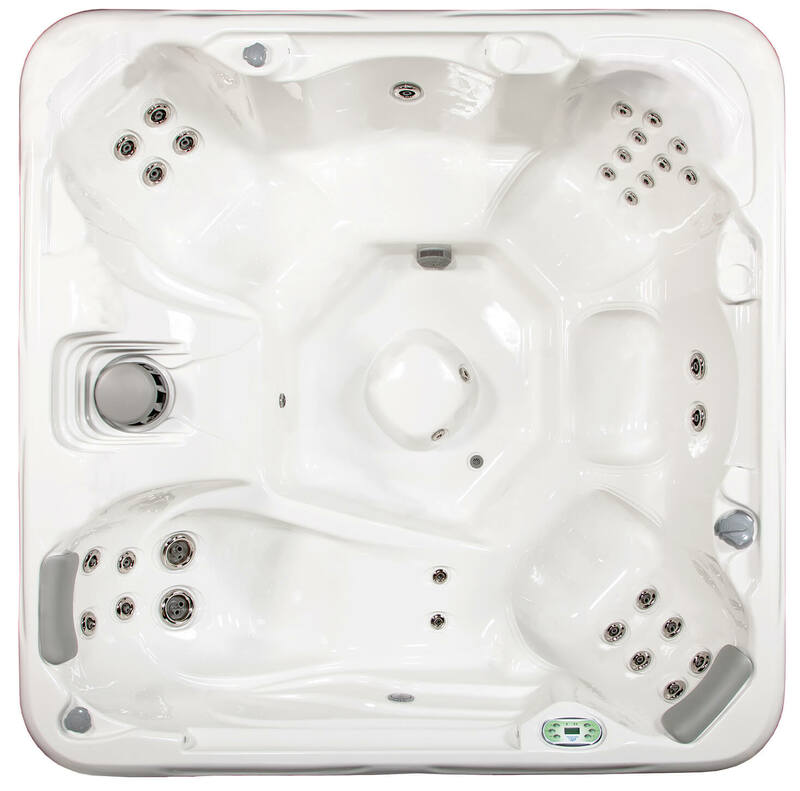 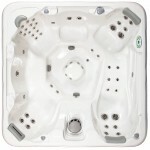 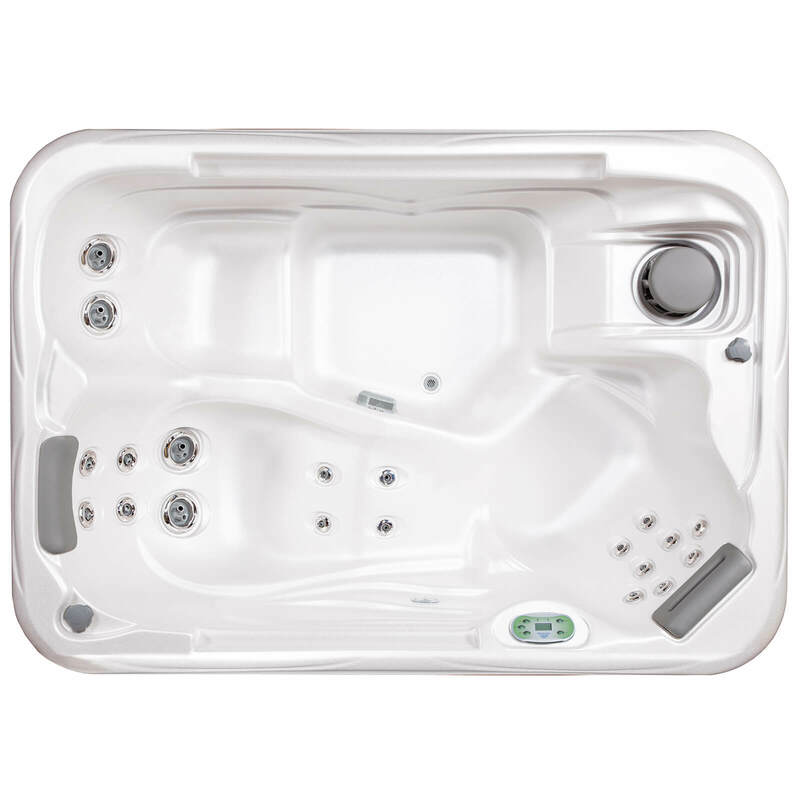 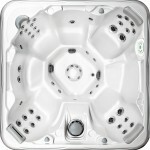 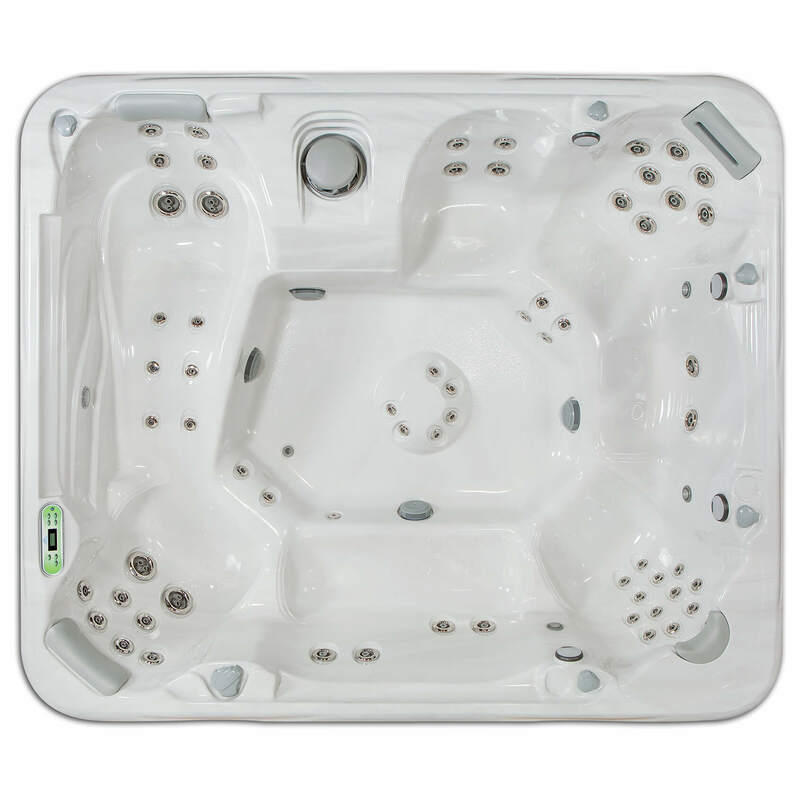 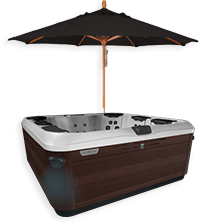 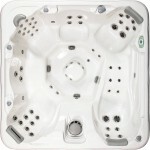 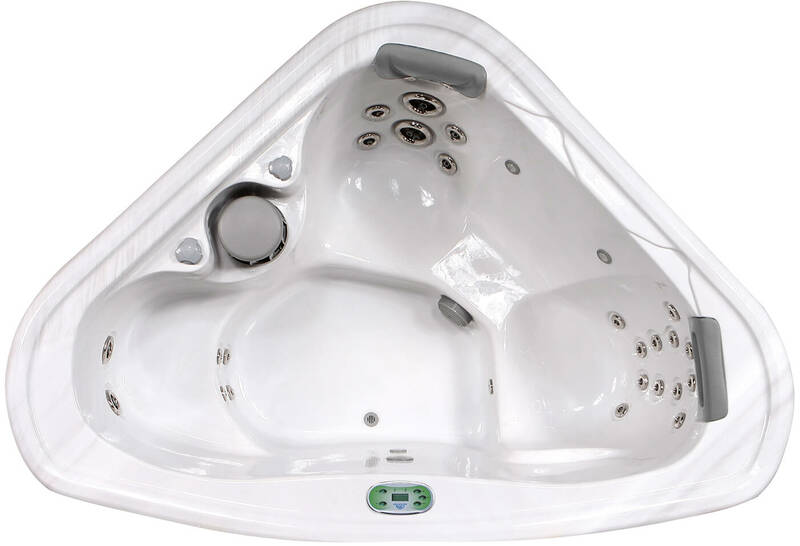 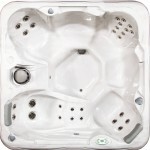 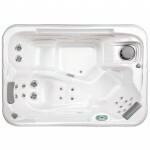 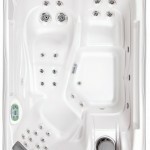 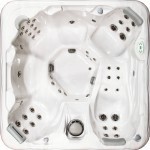 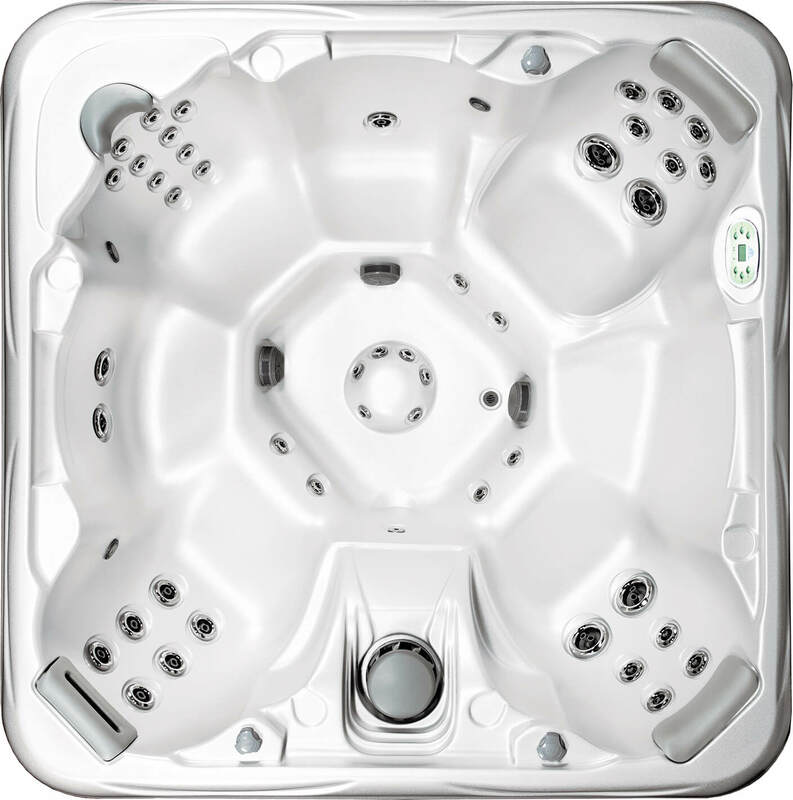 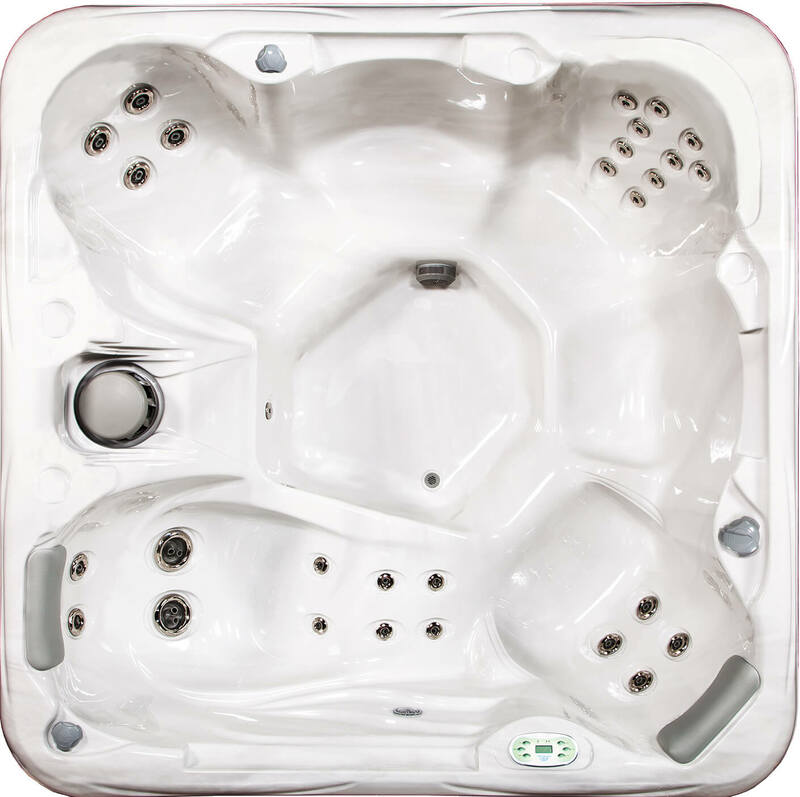 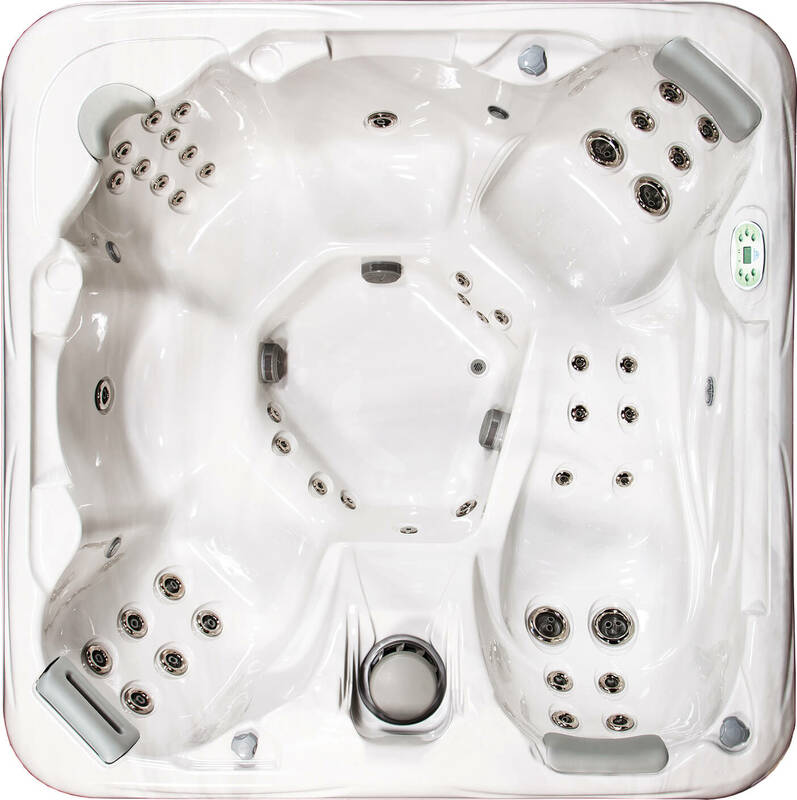 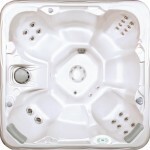 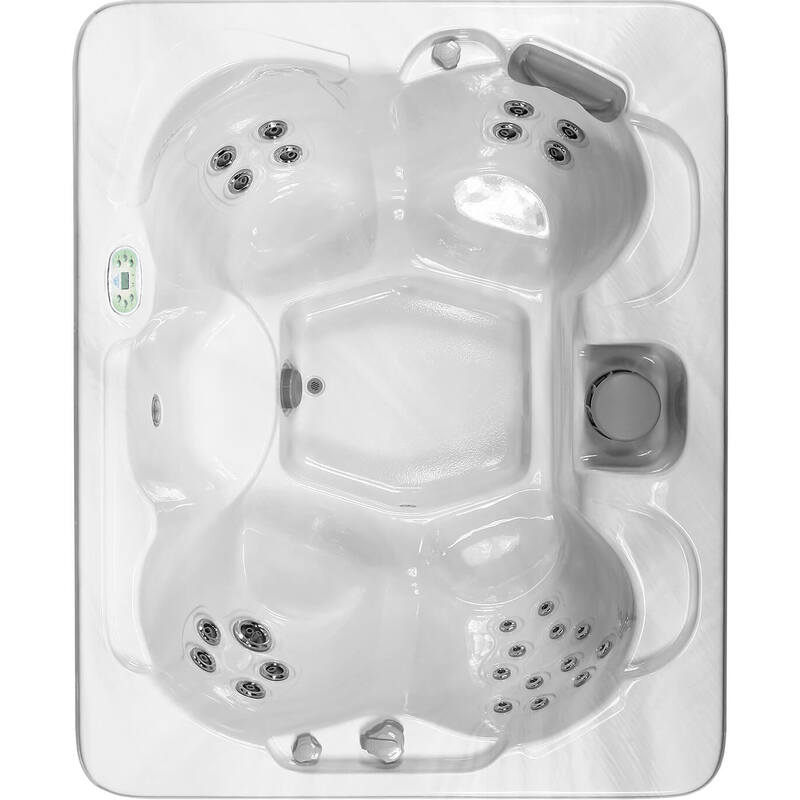 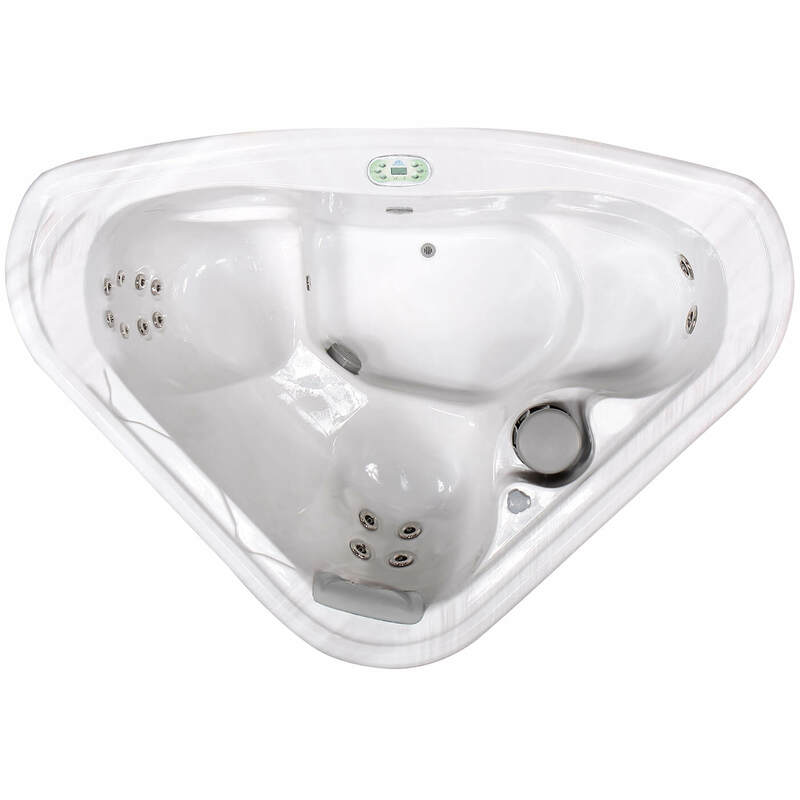 Deluxe and Standard South Seas Spas are as dynamic in quality as they are in efficiency. 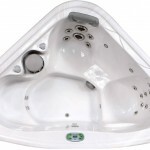 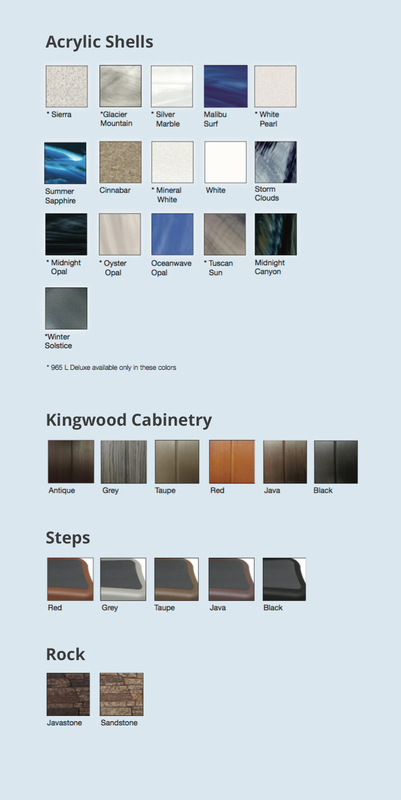 These spas have an aesthetic appeal and attractive features. 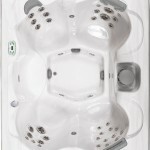 Each moment that you enjoy in a South Seas Spa, can improve your quality of life with hydrotherapy. 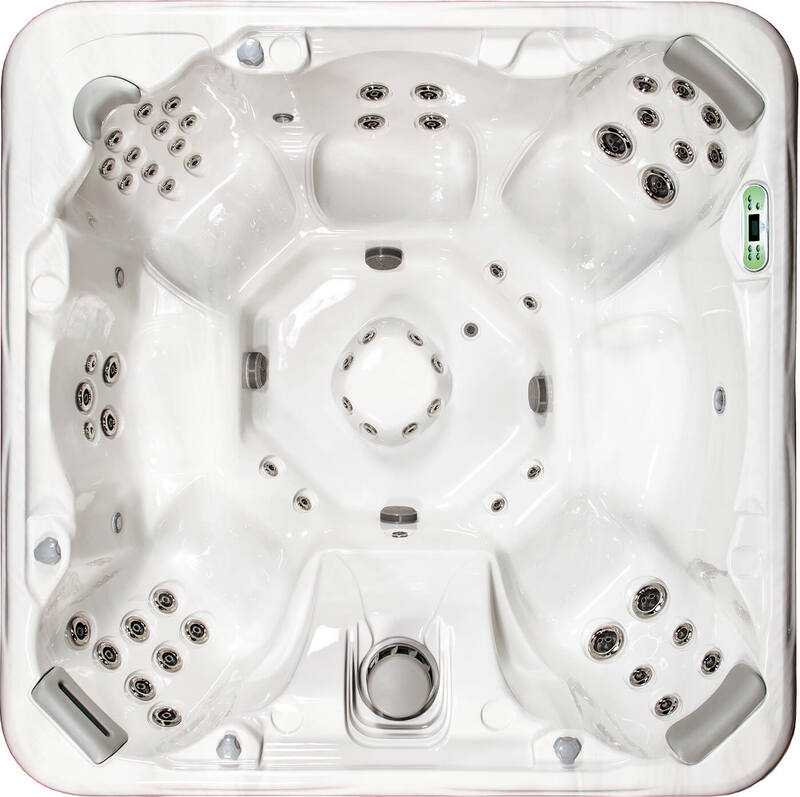 This age-old form of healing and stress relief is based on three simple principles: heat, buoyancy and water movement (hydro-massage). 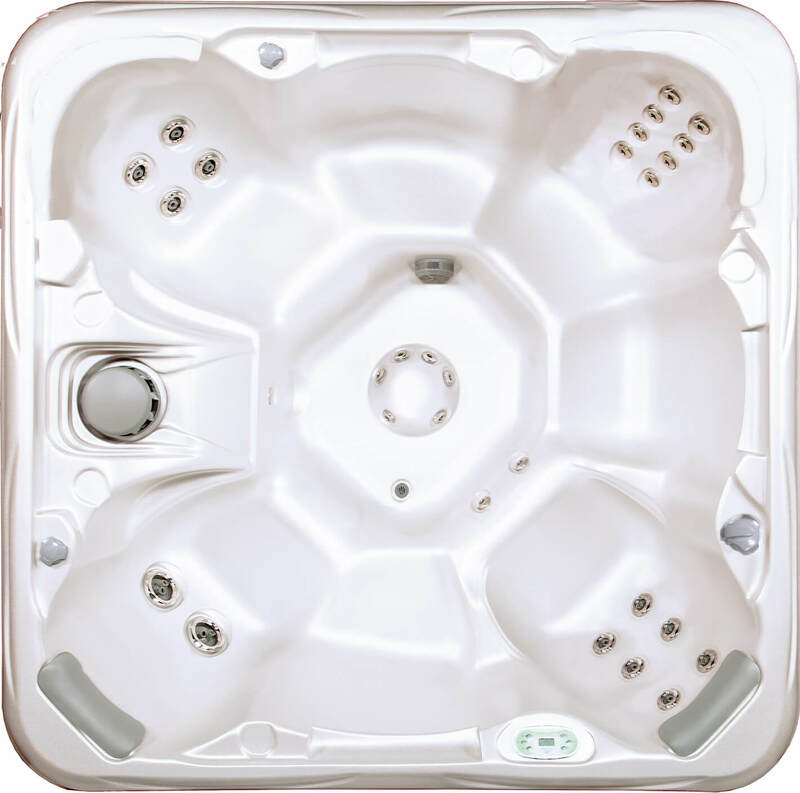 Hydrotherapy is an unparalleled method of relieving stress and stress- related conditions, such as high blood pressure, headaches and chronic pain. 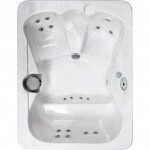 It bene ts every part of the body, including skeletal, respiratory, circulatory, neuromuscular and the digestive systems. Choose from many options to enhance your spa such as a pillowfall, stereo and water puri cation systems like the Advanced Oxidation Process (AOPTM) or the FROG® @easeTM with SmartChlorTM technology. 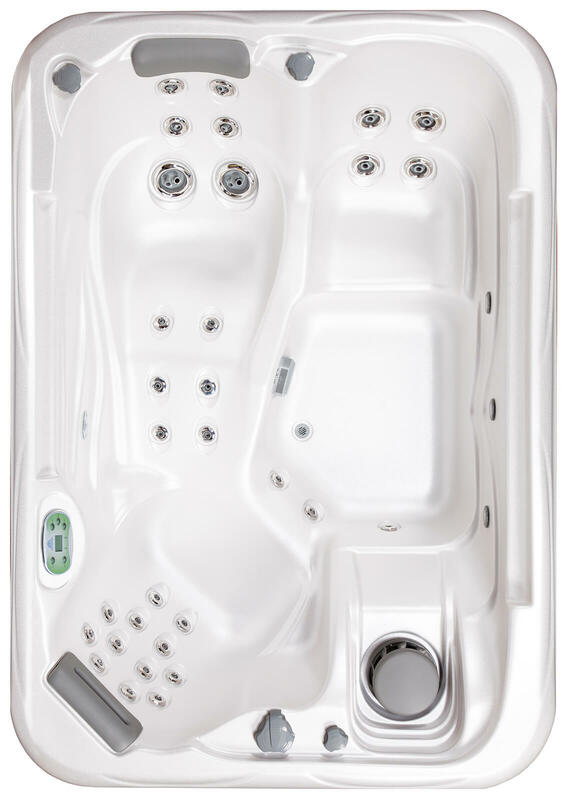 Filtered water is cycled through the Pump and then enters the AOP Unit through the injector, drawing Ozone and Hydroxyls from the chamber. 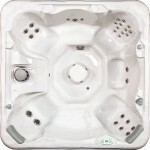 The static mixer combines water, Ozone and Hydroxyls. 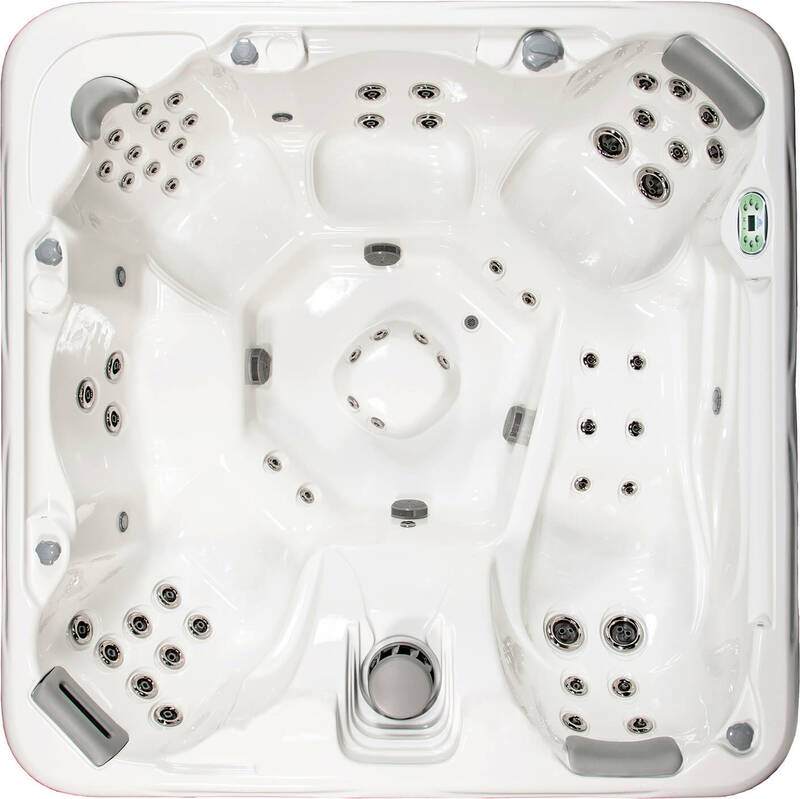 Air enters unit where the UV Bulb* converts it to Ozone and Hydroxyls. 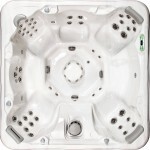 Water irradiated by Germicidal UVC converts ozone to Hydroxyl Radicals through Advanced Oxidation Processing. 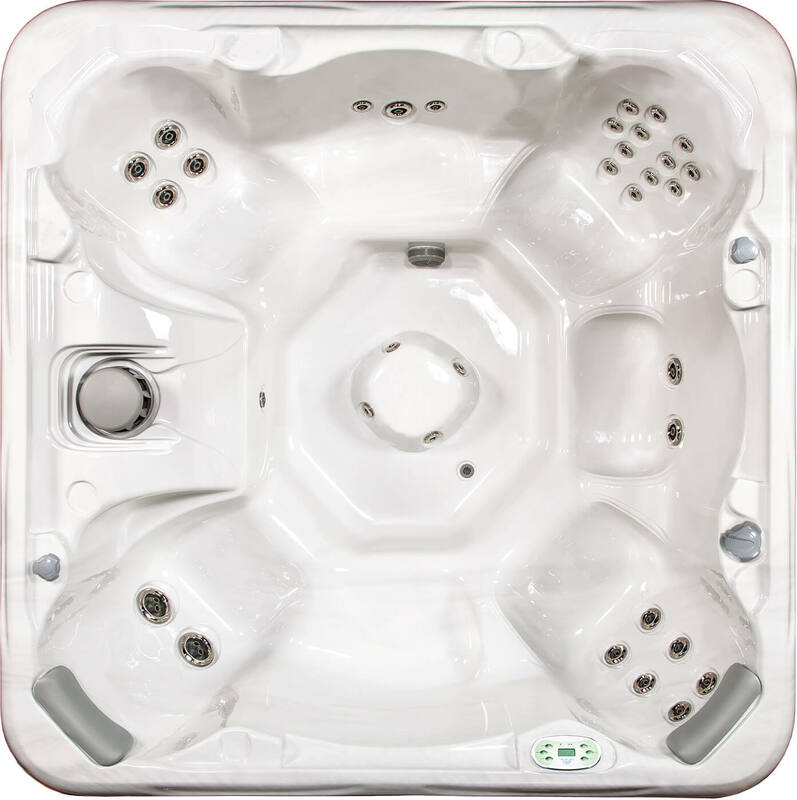 Contaminants are destroyed by intense Germicidal UVC, Ozone, and Hydroxyl Radicals. 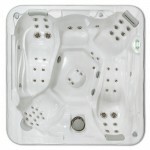 Water exits the unit and ows into the spa resulting in clean and Puri ed spa water.